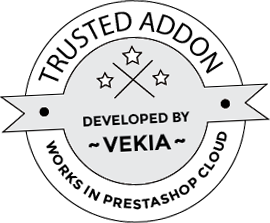 With this addon you can easily change the date of product creation and date of last product update. 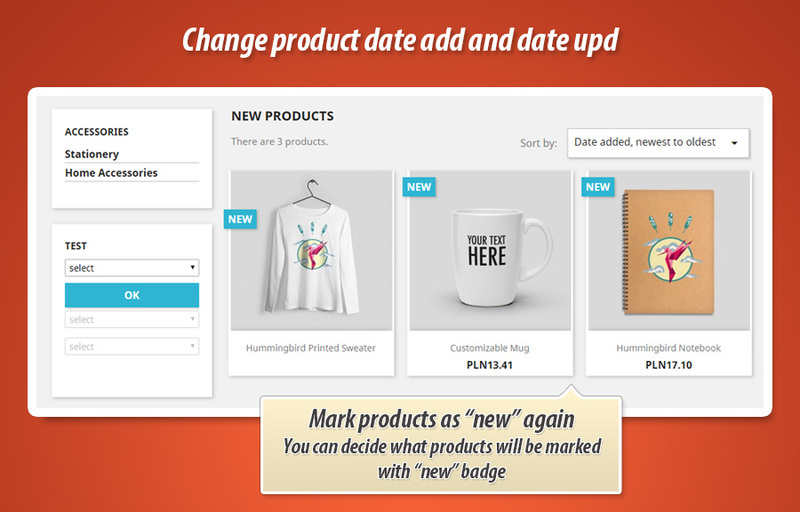 Thanks to this feature you can mark some products as "new" again and use it for sorting purposes etc. 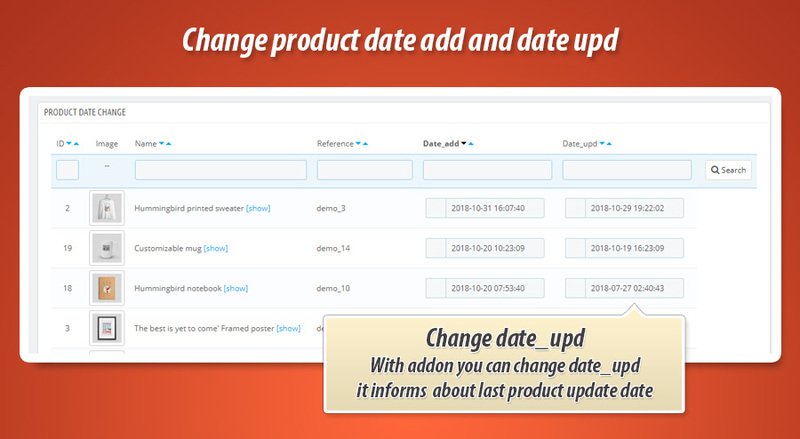 As I already mentioned this module is an addon for PrestaShop that allows to easily change date_add and date_upd parameters of product. These paratemers are frequently used in PrestaShop to serve "new products", sort list of products by products recently added etc. 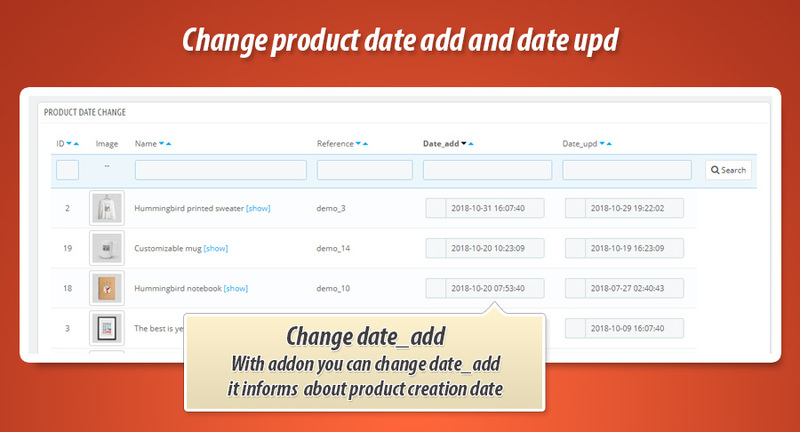 Date_add field contains information about product creation date, date_upd contains information about product last update date. What module does after installation? Module after installation creates a configuration page, where you can browse list of products and quickly change product date_add and date_upd parameters. 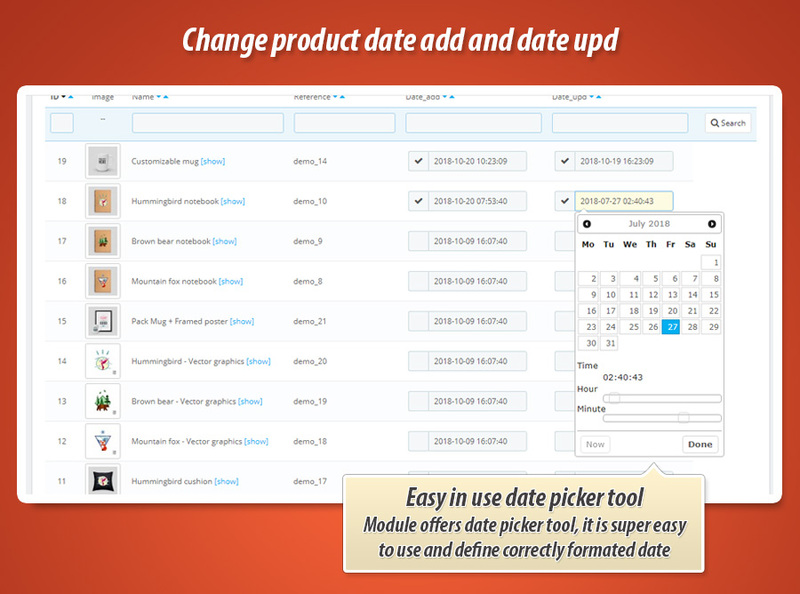 This list of products has tools that can improve usage experience like filter by name, id, date or sorting feature. Image below shows the process of date change, as you can see - whole feature is AJAX based, this means that you can quickly alter dates without page refresh.